We can show you our beautiful surroundings , our mountains and forests. 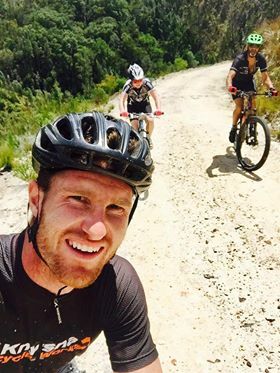 On a mountain bike in Knysna we will take you off the beaten track and old historic paths and maybe even spot the elusive Knysna elephant . Furthermore, we can take you on incredible off road passes or around the beautiful Knysna lagoon . Rides can be casual and fun or frenetic and thrilling – depending on your abilities. Are you bringing your bike to Knysna ? If not you can hire one from us . We can rent you a mountain bike or just a fun retro bike to go around town on. Most of all ,we love cycling and to mountain bike in and around Knysna is a treat. There are plenty of local trails on MTO and Sanparks properties – marked and unmarked . Permits are required for most trails , but there is miles of gravel roads to be explored through forests and over mountains. There are trail parks and pump tracks for the young and the more adventurous and lots of local single track – whatever is your favourite ! There is so much choice in our garden of eden. So join us for a day or a few hours on a mountain bike in Knysna.